Peterborough is hosting the Canadian National Cyclocross Championships this November 9 - 11. Here is your quick primer on what a cyclocross race is all about, and why you need to come to Nichols Oval - you don’t want to miss it! If Gretzky and Namath rode bikes instead, they still would lose to Sven. Properly served in a cone. Watching a cross race is a great experience, made even better with the right food and drink in hand. 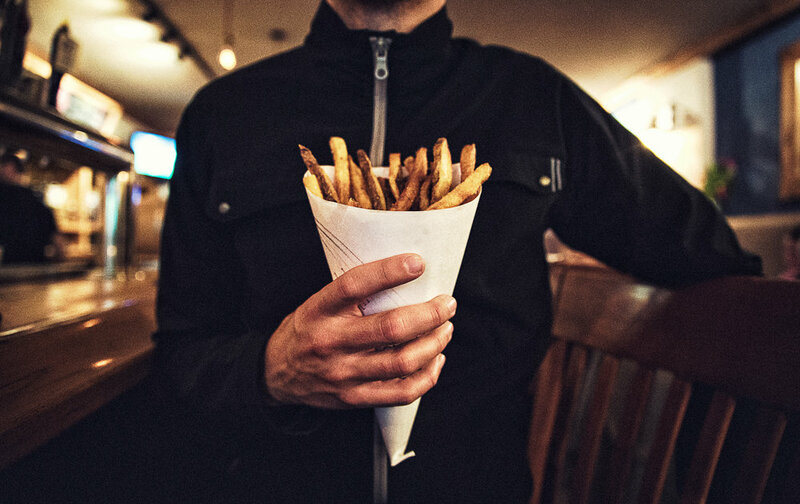 Good thing the Canadian National Championships will have great beer, warm soup, and of course fries. Or frites, or pomme frites if you will - be authentic and cover them in mayo - that’s right mayo. The food and good cheer is part of the atmosphere that makes cross a great time for bringing out the family on a fall weekend. Pro Tip: wear rummer boots. Sure you can come and watch the best riders in Canada compete at the Canadian National Cyclocross Championships, but even better is getting to cheer on our local riders battling it out for glory right alongside them! Look for the High-Vis Peterborough Cycling Club clad riders all weekend long and give them some extra loud encouragement. The cowbell has become the noise maker of choice for cross fans, make sure to get your special edition bell at the race! All kinds of goodies for sale!